This Hangover Micro Glass Bong is a very interesting piece of glass art that will get you high! It is made of a beaker base tube. You can place your precious herbs or tobacco onto the detachable chillum through a sure ground of 12mm diameter. The chillum is used as a means of spreading your smoke into the tube, so as to get filtered by the water. The bong includes also a kick hole for an alternative toke angle! 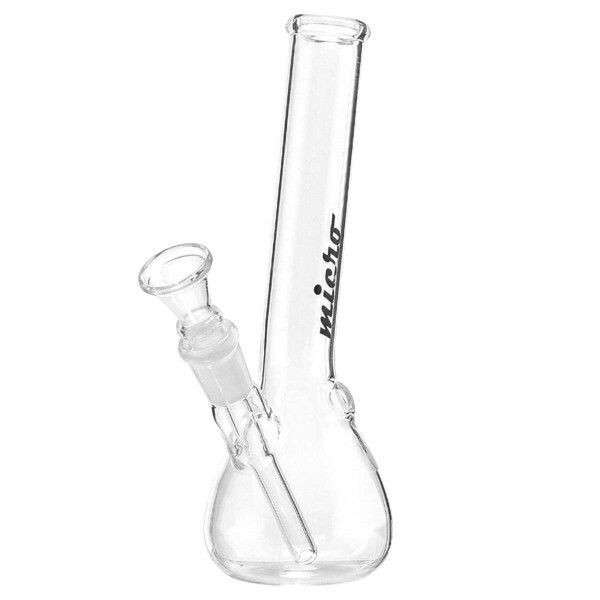 With the Micro logo featuring along the tube, this mini bong ends up in a slide mouthpiece ring. Cannabis | CBD Tea, made from 100% real cannabis buds! 25 herbal tea bags. Amsterdam High Tea! Cannabis | Hemp Bud Tea Made with 100% real cannabis bud! 25 herbal tea bags Amsterdam high tea!